Thanks to the mind of the creator of this App. This App will lead you the way in times of emergency situation especially in public places. Bidet is life to most people and I think people would agree how important bidet sprays in public places. 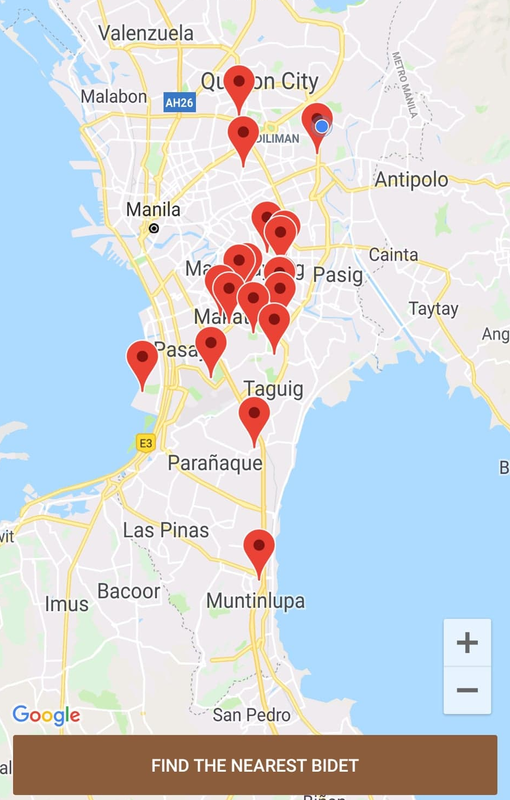 A Filipino mobile app developer Lawrence Velasco created a mobile APP and released into public recently, San Bidet, which tracks a list of toilets with bidet sprays in the Philippines. San Bidet is now available in iPhones and Androids user that shows you exactly your hiding place in times of trouble. The download is free, and when you started opening it you're greeted with various of pins where a toilet is and for you to decide a wonderful place to be. The App uses the user's current location through the help of Google Maps and finds the nearest bidet with directions.